I had thought of working on this theme before, based on one of my all-time favorite movies (and everybody’s? 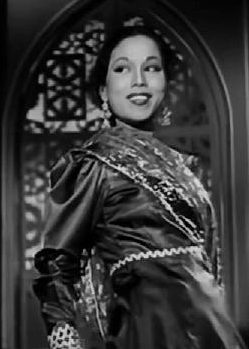 ), Pakeezah. And I forgot about it for a while, but that changed a couple of weeks ago, when I bought myself a new Pakeezah DVD. I am enjoying this movie now even more than I ever did before, partly because I have learned a little more about all the elements that went into it, so I realize now even more than ever how great a film it is. But another reason I am enjoying it so much now is that I am having so much fun this time around making screen caps. 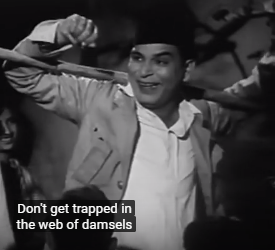 And I particularly like the set of caps above because they express a predicament with which I can deeply empathize, especially after watching more Indian film dances over the past few years than is probably good for me. So now, in the spirit of that predicament/sentiment, here are eight of my favorite dance scenes with foot(work) closeups and other special attention payed to dancers’ feet. Just about all of these scenes have been posted on this blog before, but some are up in newer versions, and, of course, they haven’t all been put together in this particular favorites list… Which, by the way, is in no particular order, though some scenes are linked by thematic connections, and I just had to start out with a song from Pakeezah. How many times have I posted Roshan Kumari’s Jalsaghar dance already? However many, as far as I’m concerned, it doesn’t matter, because it is not possible to watch this Kathak dance too many times. Unfortunately, embedding has been disabled, but it’s certainly worth the extra click! And just look at that stunning closeup of the footwork toward the end! Roshan Kumari’s dance with Gopi Krishna in Parineeta contains what might be my favorite Kathak footwork from any Hindi film. This is another scene that I have posted here more than once but am happy to post again, considering it from a different angle, so to speak. Padmini’s dance competition with MGR certainly has some beautiful footwork closeups – of Padmini, that is. Unlike with the Roshan Kumari/Gopi Krishna scene above, there isn’t much reason to look at the male “dancer’s” feet. But it is all kind of fun when the foot painting starts. You’ll have to go to YouTube to view the next dance, by Lalitha, but once again, it is well worth it. The opening shot is a lovely closeup of Lalitha’s hennaed feet, and we get to see those feet in closeup again a little later, covered in coins to show us, I assume, that her feet are earning her tons of money as she dances all over India. Vyjayanthimala’s Bharatanatyam scene in New Delhi is remarkable in a few ways, one being that it contains delightful closeups of her dancing feet. And they are unmistakably and uniquely Vyjayanthimala’s feet. Had time only to watch the first two videos. Exquisite! Oh! I’ll have to check these when I’ve got time and I’m at a computer (non-work) that allows me access. In the mean time, I’m wondering how Bharatnatayam would look/sound using tap shoes? Just something to ponder. Am I right in believing that Meena Kumari was too ill to dance for a lot of Pakeezah’s filming and that the dancing and the footwork were Padmini’s?? I hope someone can clear my memory on this. OK, a quick search has yielded this: it was Padma Khanna (not Padmini as I thought) who stood in for Meena Kumari in Pakeezah. The hand work in the clips is as fascinating. Again a first for me is the ‘painting’ done as a result of correct footwork. Amazing! If only one understood what the ‘pujari’ (?) mumbled in the beginning, the mystery of those feet could be solved in the 5th clip. There’s another thing called ‘alta’ which is normally put on the feet. It’s a bright red liquid made from ‘lac’. That’s why the colour on the feet looks so red. Of course mehndi too, but that’s time consuming. The second para of the second page mentions alta. If you scroll down this page on the second link you’ll see it in pictures. The dancing feet usually had alta. Harvey, I guess your comment was based on my use of that too-theoretical word “elements” combined with your knowledge about my political leanings? Anyway, yes, those first two are exquisite, indeed! Sitaji, hope you’ve had a chance to go back and look at this more… I guess you have a point about the tap shoes. Though I have seen some Indian film dancing with classical elements done in unexpected shoes (by Sitara Devi or Cuckoo or Helen or all of the above – will have to look through my “archives” to find out the specifics again). Pacifist, thank you for providing so much good information! I will have to get back to that later and read in more detail. Lesson much appreciated! Oh, and yes, there is great hand work to be found here, too… Sometime, I will have to do a post just about that. Hi Richard, It IS me Bawa (sorry about the bnann thing). 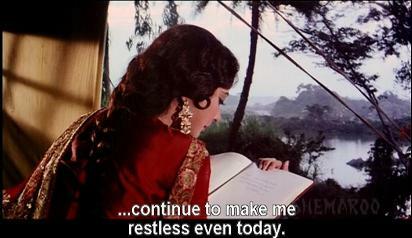 Of course you have, but I got so carried away watching these and all of Pakeezah’s other songs that I missed it totally! Different technique, in this case the cloth is placed over a bed of clay, so that the pressure of the dancer’s feet create a picture. On foot doubles, apparently choreographer Kumudini Lakhia had to foot double for Rekha in one shot of Umrao Jaan when she just couldn’t get the footwork. Not sure which song though! Insomniac, thanks for all the info and the video. I’ve had time to watch the actual foot art section – very interesting. I’ll get back to this later to see it in the whole context. In that post, there is another conversation about foot painting in the comments, and references to Vyjayanthimala’s amusing rumored connections to Mysore. At least amongst my generation, the ‘feet’ dialogue of Pakeezh is very popular. But I am glad you picked this, the time when Meena finds out that she has found the love she has been looking for, for screencapping. I think I like kathak best among all dance forms. I have had the fortune of seeing some masters perform on TV. I wish they would bring out DVDs of those programmes for people like us. We are reduced to watching dances in movies, which can often be watered down or glamourised. Anyway… Kathak is the dance form I look for most right now, but that’s because I am first discovering all the Kathak dances that are out there after years of obsessively hunting down Bharatanatyam. I don’t know which I’ll prefer ultimately, but these two forms are very different (I think), so they’re hard to compare. I generally like them more than, say, Odissi (and maybe more than Kuchipudi, though it’s hard to say, since that’s so often so much like Bharatanatyam). Haha.. I rarely capitalize anything, so the issue gets resolved on its own. You are right about comparisions between bharatanayam (oops) and kathak. Why do I place kathak on top? Because its more operatic, the songs sung are tuneful and more like stories. By contrast, bharatnatyam (which i nearly equally love) seems a bit rigid. You know, I just got back from watching the pakistani film Bol. There is a delicious reference to the same ‘feet’ bit from Pakeezah in it. One of the main characters get involved with a prostitute, and she has this huge Pakeezah hangover, and even calls herself Meena. I think you will like that part of the movie. Great post as always! I love the song from Sudharshan (1951), watched it recently, a very interesting and captivating film with excellent music. My favourite character was Lalita Ji herself, a young, brave, generous and sweet lady. The 2 songs from the film you’ve posted are one of my most favourites, did you like the songs? The singer is my favourite (since half a year or so :) ) Tamil playback singer, P. A. Periyanayaki Ji. What a range, what a seasoned, powerful, lovely and sweet voice which is vocally so flexible. omygoodness. there cannot be an operable category of more Indian film dances than is good for you. thank you so very much. 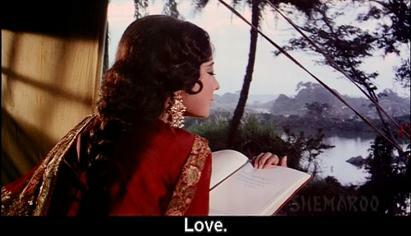 Inhi Logo Ne , Thade Rahiyo and Chalte Chalte were done solely by Meena Kumari. 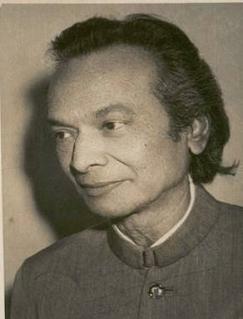 -( Lacchu Maharaj choreographed ‘Thade rahiyo’ while the othr songs were choreographed by Gauri Shankar. Teer – E – Nazar – Padma Khanna was used as a body double only for this song. All the close ups were given by Meenaji while the fast dancing and long shots by Padma Khanna. Tashmi Vyas, thank you for reviving this post seven and a half years later with such good information! So now we know that Meena Kuamri did do all the dancing for herself in most of these songs… Though when you say that “Chalte Chalte” was one of the songs in which dancing was done “solely by her,” that’s not really true because of the two dancers in the background – who do all of the more active dancing. Now that you have brought me back to this old post, I am going to have to take a good look at all the old comments again. I may also update a couple of the clips with better versions (or, in one case, a version that can be embedded). Skimming over some of the things I wrote here, I see that this was a time when I was just starting to prefer Kathak to the other dances (after a long time of admiring Bharatanatyam). Since then, my fondness for Kathak has grown disproportionately – that is I now love it far above all the other Indian classical dances!